Come together for fun, food and drinks. Listen to live music. Ozzie's Place Bar & Bistro has a contemporary casual atmosphere with indoor/outdoor fireplace and patio seating. Make Ozzie's Place your place to relax and unwind. Enjoy appetizers and drinks at significant savings during both afternoon and moonlight Happy Hours. 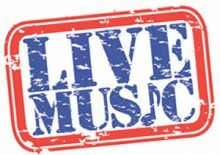 Every weekend Ozzie's Place features live entertainment from a variety of musical genres. 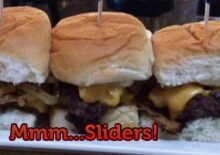 View our WHAT'S HAPPENING page and meet up for some fun at Ozzie's Place! You'll think it is magic when you see what $2 gets you on Monday nights. 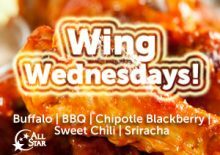 Specials Available 5 - 10 p.m.
Wing Wednesdays offers meaty chicken wings at $.50 per wing! Choose your favorite sauce or try them all! Click here if your band or act desires to be considered as a future entertainment feature at Ozzie's Place.